Westalee Design's Artisan Curve Template can be used to create many different quilting designs that use a Circle Base, such as Baptist Fans, Mandalas and many more. You can use 1 template or as many as you desire and we have many designs to choose from. 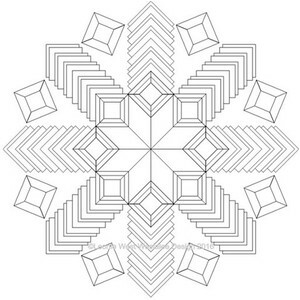 The Artisan Curve templates can be used with any of Westalee's Rotating Templates to create your own unique quilting designs. As with all of our templates, Westalee's Artisan Curve Templates are made Machine Specific. They are cut to 3 different thicknesses to suit the Machines Shank and Make. Start with your smallest design and build out.